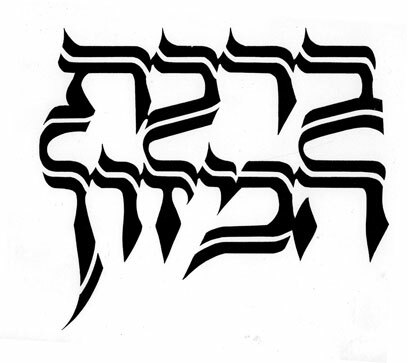 As a Judaica calligrapher and artist first and foremost, Chaim's interpretation of the Hebrew alphabet takes on many different forms, all professionally executed and pleasing to the eye. He is equally proficient in English calligraphy and often combines it with artistic lettering and illumination. His manuscripts are prized for their beauty, layout and readability, as well as their artistry. This powerful,yet decorative title was created for the front of a full color Bencher.